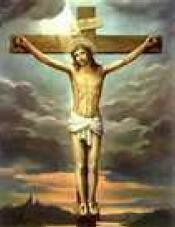 As Jesus hung on the cross he said; “‘Father, forgive them; for they do not know what they are doing. '” (Luke 23:34) No one was asking for forgiveness nor was anyone even acknowledging that they were doing the smallest thing wrong. Jesus didn’t wait for any of that however; he just laid out the forgiveness up front. This is a wonderful pattern for us and I think it’s one of the hardest to practice. Someone hurts or offends us and then they skip merrily on their way. Sure, if they would come back in a humbled condition and genuinely ask our forgiveness we feel we could accept that. “Yes,” we would say, “I forgive you.” But how do we forgive when they aren’t asking for it? Let’s look at what Jesus actually said and did. It might help to follow his steps. Notice that Jesus addressed himself to the Father, not to the ones who were crucifying him. He didn’t yell down from the cross; “I forgive all of you who put me up here.” No, instead, he asked God the Father to forgive them. Forgiveness offered this way has some advantages. It acknowledges that all sin is ultimately an offence first against God – not us. It does not overlook sin or minimize the pain and consequences it caused. It places the sin with God, removing it from the realm of any festering bitterness or desire for revenge on our part. Are you struggling with forgiving someone, maybe someone who will never acknowledge how much they hurt you? Try it the way Jesus did it. Say, “Father, forgive them.” Now walk forward in the freedom that Jesus secured for you when he asked the Father to forgive YOU.